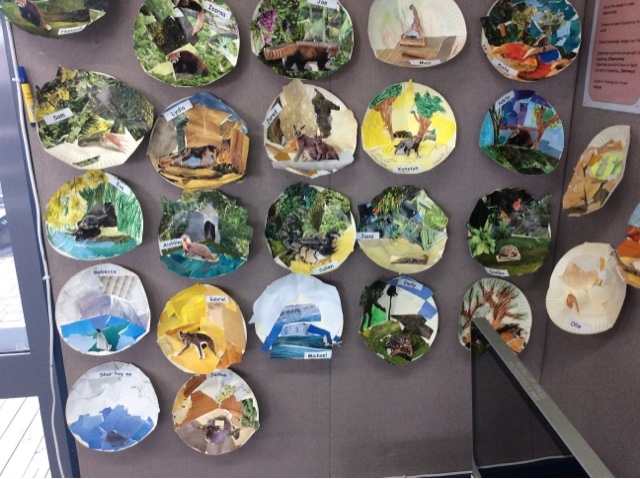 Here are dioramas of the habitats for our chisen zoo animals. The children had to choose the right kind of foliage and other features from magazines to glue on to the background. Then make a pop-up animal to have standing in the front.